He was known as Bahjat al-‘Aarifin (the splendor of the Gnostics) and profusely emanated the light of devotion, such that lovers throughout the world were fascinated by his noble spirit. He was well-known for his absorption in prayer, where the true munajat (mutual whispering) between the lover and the Beloved is clearly revealed. In most cases, the awe and veneration of the Infinite would apparently overcome him and he would weep from the depths of his heart in prayer. 1- There is no litany [ dhikr - word of remembering God] more exalted then the litany of action; and there is no litany of action higher than abandoning sin in [one’s] beliefs and acts of devotion. And apparently, abandoning sin in the absolute sense without continual self-vigilance cannot take place. 2- Among the dictums of ‘Ali (‘A) is: “Know that every action of yours is according to your prayer (sala).” You must protect your five times daily prayer in the beginning of their times and with total inclination to Him (Almighty is He), and God-willing you will not lose felicity. 3- We must deal with [the holy] traditions and read them, for [the] cure is in them. 4- If a person realizes the purpose of creation, he would find it extremely sweet to [die as a martyr and] be restored back to life seventy times. 6- It is these very supererogatory (mustahabb) acts that make the human being attain a great station. 7- The reason why we are left behind is our consumption of doubtful wealth; and doubtful wealth brings about doubts and ambiguity. 8- God knows when a human being send greetings to Muhammad and his progeny (i.e. 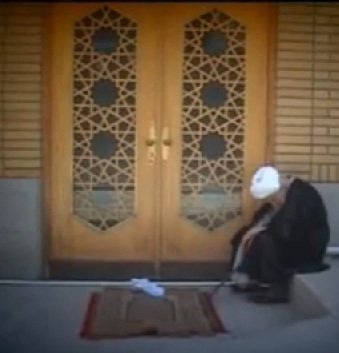 recites salawat) one time and gifts that to the deceased soul, what kind of meaning, form and reality it has! 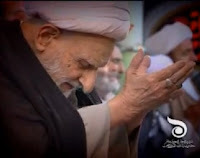 When a scholar of the caliber of Ayatullah Muhammad Taqi Bahjat (may Allah elevate his noble spirit) tears the curtains of this material world and releases the bird of his spirit from the cage of the corporeal body, the moths of love residing in this terrestrial realm suffer a loss which cannot be recuperated. Bahjat al-‘Arifeen not only served as a lamp for expounding the Shari’a (the Islamic laws), but also as a master for guiding towards the tariqa (the path) which leads to the haqiqa (the Ultimate Reality). The human being fundamentally has been brought in this transient world for this very purpose. The word shari’a which we commonly translate as the Islamic law literally signifies mawrid al-maa’ al-jaari (‘the entrance of flowing water’). When we say shari’at al-Furat, for example, we mean “the entrance of the flowing waters of Euphrates”. But Religion only serves as the shari‘a for those of us who would really like to “enter the flowing spiritual waters” and benefit from the same so that we may attain the haqiqa (Absolute Reality). Although Bahjat al-‘Arifin is not among us, the brilliance of his splendor can still be felt. Rather, when does the splendor of such a lamp ever fade? Which lamp was lit by the teachings of Muhammad and His infallible progeny (peace be upon them), and did not turn immortal and eternal?